Figure 1. Barents Sea ringed seal, Norwegian Polar Institute, Kit Kovacs photo. 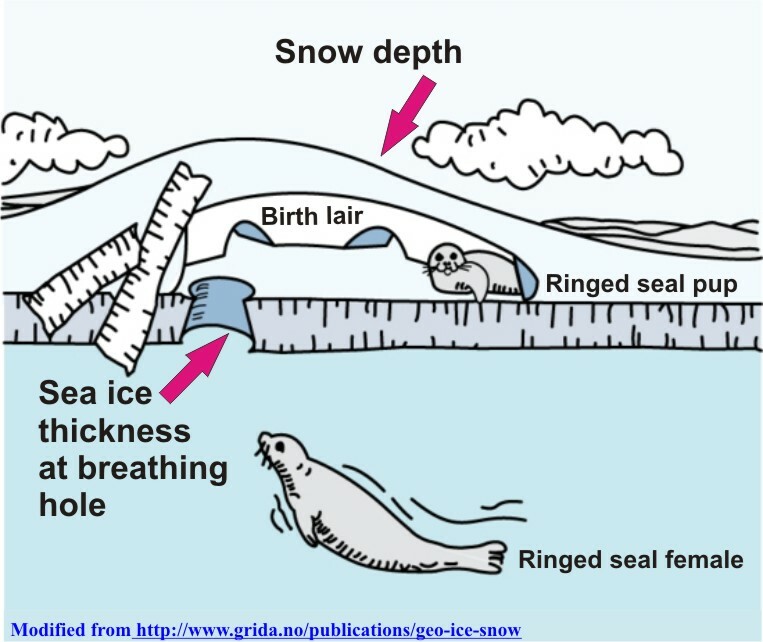 Deep snow over birthing lairs (diagram above, see also Lydersen and Gjerz 1986) means ringed seal pups are well protected from polar bear predation – the seals do well but the polar bears do not. For example, deep snow over ice was suspected to have negatively impacted the body condition of Western Hudson Bay polar bears in 1983, a year that Churchill had a spike in problem bears, bears in poor condition were documented, and cub survival was lower than average (Calvert et al. 1986:19, 24; Derocher and Stirling 1996:1247; Ramsay and Stirling 1988:627). This conclusion is corroborated by the fact that in 1983, ringed seal researchers working in Western Hudson Bay (Ferguson et al. 2005) reported high mean snow depths in April-May (> 50cm). Onshore measurements had to be used as a proxy for on-ice snow depth, since there are no data for snow depth over sea ice on Hudson Bay. The fact that spring mean snow depth of 50 cm or more was reported for four years in the 1960s, and one year in the 1970s (Ferguson et al. 2005:Fig. 2a) suggests that polar bear may have had an equally poor hunting success in those years as well – it just wasn’t documented, as far as I know. 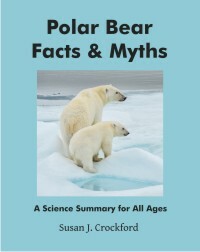 Deep snow in spring might be good news for ringed seals but it’s usually bad news for polar bears. Shallow snow cover over birthing lairs, which are built against pressure ridges as shown in the diagram above (considered to be less than 25-32 cm over the lair, or less than 20 cm over flat ice),1 can mean the snow caves are easier for polar bears to break into (and consume the pup) – that’s good news for polar bears (in the short term) but bad news for ringed seals. Mean snow depth was reportedly at or below the critical 20 cm threshold in April-May in Western Hudson Bay once in the 1960s and eight times between 1993 and 2000 (Ferguson et al. 2005: Fig. 2a). There is an added risk for ringed seal snow caves with little snow cover – they can collapse if there is a warm spell (made worse by rain), although this can occur when snow depth is average or even above average (Stirling and Smith 2004:61). Lair collapse (or snow made soft by spring rain) leaves pups especially vulnerable to predation, which was documented off the coast of southeastern Baffin Island in April 1979 (Stirling and Derocher 2012:2700; Stirling and Smith 2004; Hammill and Smith 1991). Lair collapse in early spring (March/April, depending on location), just after the pups are born, could also leave newborns (Fig. 2) at risk for death by hyperthermia, although this phenomenon has so far not been documented as being a significant risk over and above increased predation. Unfortunately, several bad years for ringed seal pup survival caused by shallow snow depth in spring means that in subsequent years, fewer seal pups will be produced for polar bears to eat – polar bears end up suffering after a bit of a lag. Shallow snow depths in the 1980s (Ferguson et al. 2005: Fig. 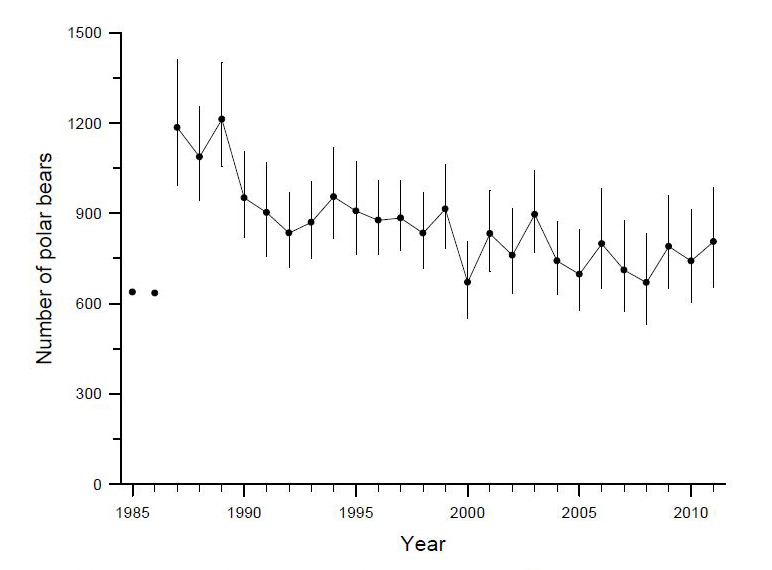 2a) seem to have been the cause of the marked decline in Western Hudson Bay polar bear numbers documented between 1989 and 1990 (Derocher and Stirling 1996; Lunn et al. 2013), while thick ice in 1991 (Chambellant et al. 2012:274) contributed to a continued decline (Fig. 3, below). Figure 3. This is Fig. 8 from Lunn et al. 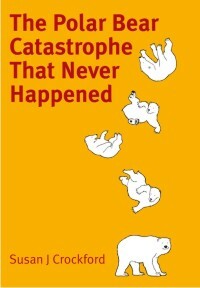 (2013), the most recent report on the estimated size of the Western Hudson Bay polar bear population. Click to enlarge. You might be surprised to find out how few data on snow depth over sea ice exists (i.e., actual observations or measurements), apart from measurements that ringed seal researchers have collected. Figure 4. 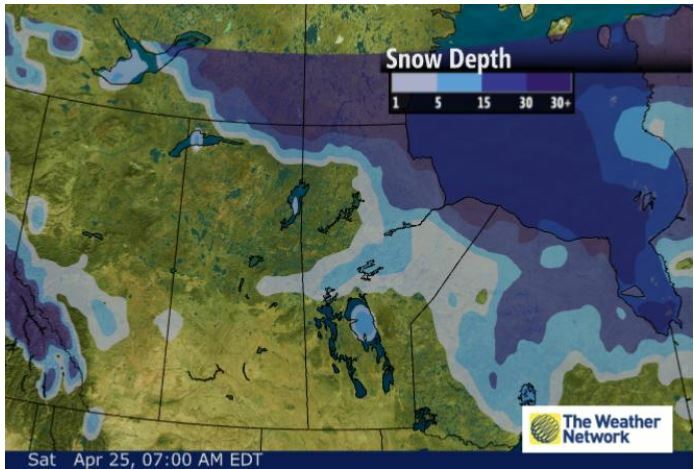 Snow depth over North America, including Hudson Bay, at 25 April 2015. Courtesy The Weather Network. Click to enlarge. See also the Sea Surface Temperature Anomalies, Ice and Snow Cover, 1 year animation, from Environment Canada, for snow depth records over the last 365 days that include Hudson Bay. But what about historical records? Surprisingly, there isn’t much. One study (Warren et al. 1999) took measurements of snow depth over 37 years, between 1954 and 1991, in the central Arctic Basin over multiyear ice only. Since polar bears and ringed seals prefer annual ice over continental shelves for hunting in spring, this data is not especially useful. Kwok et al. 2011 measured snow depth from the air in April 2009, via microwave radar, along several Arctic tracks that included a transect from the Alaskan shore through annual ice in the Beaufort Sea, several through multiyear ice and one through mixed annual plus multiyear ice. However, this technique worked only over smooth sea ice. There are important implications of this poor record of snow depth observations over sea ice for predicting future conditions. 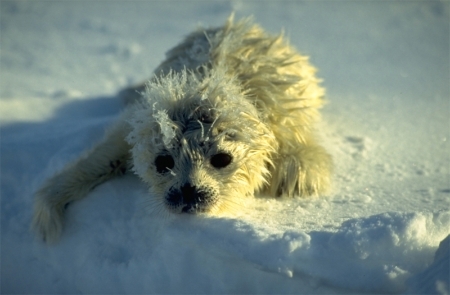 Hezel and colleagues (2012), who developed a model to project April snow depths into the 21st century to see how ringed seals might be affected by global warming, used simulated data generated by other models developed by the Climate Model Intercomparison Project (CMIP5; explained in Taylor et al. 2012); Hudson Bay, Foxe Basin and Davis Strait regions were not included in this analysis. 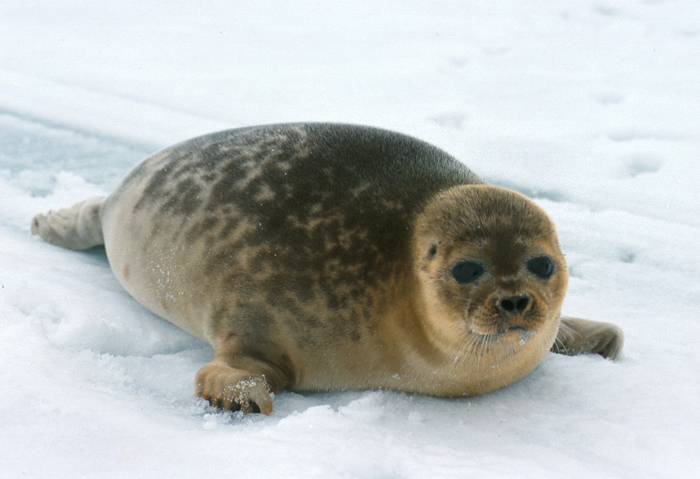 In other words, there were so few archived observations of snow depth over sea ice across the range of ringed seals that they had to be made up by a computer model – and even then, the models could not be applied across the entire species range. Yet, this analysis played a large role in the 2012 US Fish and Wildlife Service listing of ringed seals as ‘threatened’ with extinction (USFWS 2012a). (see previous posts here and here). In addition, it is apparent that there could have been no expectation by Hezel and colleagues that their predictions of snow depth over sea ice changes in the 21st century would ever be validated by observations, given that so few actual measurements of snow depth have been taken so far. Early ice breakup in summer and/or late freeze-up in fall cannot exclusively be blamed when polar bears struggle to get through the ice-free period. Snow depth over sea ice is also a factor, but one that is very difficult to document. As a result of snow depth variations, polar bear hunting success and cub survival can fluctuate rather dramatically, which in turn can cause the subpopulation size to fluctuate as well. Therefore, due to entirely natural variations in spring snow conditions over sea ice (and thickness of the ice),2 polar bear population sizes can vary by region. This natural variation in population size is seldom mentioned by those who rush to blame all polar bear subpopulation declines on recent increases in the open water season. Regarding Hudson Bay bears, we probably won’t know until later in the summer if they were affected by deep snow and/or thick sea ice this spring. Once the bears are onshore this summer, the body condition of most bears will tell us if they were well-fed over the spring or not (of course, some bears will be in average or poor condition every year because they are inexperienced hunters, too old to defend their kills, or simply ran into bad luck). This will be especially apparent if breakup is not particularly early – but we’ll have to wait and see. Footnote 1. Smith and Stirling (1975:1299) found that the minimum snow depth over birth lairs in the Eastern Beaufort in 1971-1974 was about 20 cm, while Ferguson et al. (2005) found that the critical depth in Western Hudson Bay was 32 cm. Footnote 2. Birthing success of female ringed seals (Phoca hispida) is also affected by regional sea ice thickness in early spring. For example, in the eastern Beaufort Sea, repeated bouts of thick spring ice, lasting 2-3 years out of every 10 years or so since the 1960s, have occurred. It appears that pregnant ringed seals abandon traditional near shore pupping areas because the ice is too thick to maintain breathing holes. When these conditions occurred, polar bear females with new cubs (as well as young bears on their own) had difficulty finding enough to eat – without a bumper crop of fat young ringed seals to consume, they didn’t have enough fat to see them through the rest of the year. Many females lost most or all of their cubs. A similar but somewhat less devastating phenomenon affected Western Hudson Bay ringed seals and polar bears in 1991, which was a very cold year in Eastern Canada (Chambellant et al. 2012:274). It was very cold in 1992 as well – however, polar bears apparently compensated for the reduced number of seals available by staying on the sea ice and hunting for an extended period of time, which was possible because breakup was very late that year. Calvert, W., Stirling, I., Schweinsburg, R.E., Lee, L.J., Kolenosky, G.B., Shoesmith, M., Smith, B., Crete, M. and Luttich, S. 1986. Polar bear management in Canada 1982-84. In: Polar Bears: Proceedings of the 9th meeting of the Polar Bear Specialists Group IUCN/SSC, 9-11 August, 1985, Edmonton, Canada. Anonymous (eds). Gland, Switzerland and Cambridge UK, IUCN. http://pbsg.npolar.no/en/meetings/ pg. 19-34. Derocher, A.E. and Stirling, I. 1996. 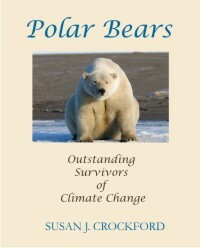 Aspects of survival in juvenile polar bears. Canadian Journal of Zoology 73:1246-1252. Ferguson, S.H., Stirling, I., and McLoughlin, P. 2005. Climate change and ringed seal (Phoca hispida) recruitment in Western Hudson Bay. Marine Mammal Science 21:121-135. Hammill, M.O. and Smith T.G. 1991. The role of predation in the ecology of the ringed seal in Barrow Strait, Northwest Territories, Canada. Marine Mammal Science 7:123–135. Hezel, P.J., Zhang,X., Bitz, C.M., Kelly,B.P., and Massonnet, F. 2012. Projected decline in spring snow depth on Arctic sea ice caused by progressively later autumn open ocean freeze-up this century. Geophysical Research Letters 39, L17505, doi:10.1029/2012GL052794. Kwok, R., Panzer, B., Leuschen, C., Pang, S., Markus, T., Holt, B. and Gogineni, S. 2011. Airborne surveys of snow depth over Arctic sea ice. Journal of Geophysical Research 116, C11018, doi:10.1029/2011JC007371. Lydersen, C. and Gjertz, I. 1986. Studies of the ringed seal (Phoca hispida Schreber 1775) in its breeding habitat in Kongsfjorden, Svalbard. Polar Research 4:57-63. Open access. http://www.polarresearch.net/index.php/polar/article/viewFile/6920/7753 [contains a copy of the birthing lair graphic modified at the beginning of this post, originally produced in “Gjertz, I. and Lydersen, C. (1983). Pupping in ringed seals in Svalbard. Fauna, 36, 65-66 (in Norwegian)” and reproduced in colour (with permission) by GRID Arendal (original graphic here). Smith, T.G. and Stirling, I. 1975. The breeding habitat of the ringed seal (Phoca hispida): the birth lair and associated structures. Canadian Journal of Zoology 53:1297-1305. Stirling, I., Lunn, N.J. and Iacozza, J. 1999. Long-term trends in the population ecology of polar bears in Western Hudson Bay in relation to climate change. Arctic 52:294-306. http://arctic.synergiesprairies.ca/arctic/index.php/arctic/article/view/935/960 Open access. Stirling, I. and Parkinson, C.L. 2006. Possible effects of climate warming on selected populations of polar bears (Ursus maritimus) in the Canadian Arctic. Arctic 59:261-275. http://arctic.synergiesprairies.ca/arctic/index.php/arctic/issue/view/16 Open access. We recorded an unusually warm period in early April 1979 along the coastline at the end of the Hall Peninsula on southeastern Baffin Island, Nunavut. Maximum temperatures remained at or above freezing for almost a week, and rain fell on our field camp on three consecutive days. In contrast, meteorological data collected from three nearby coastal stations (Brevoort Island, Cape Dyer, and Resolution Island) between 1950 and 1992 indicated that the mean minimum and maximum air temperatures for the month of April are normally 10-20°C cooler than the averages we recorded at our camp. Periodic warming to near freezing, probably due to the maritime influence of nearby open water in Davis Strait, occurs in this area in late March and early April, but not usually to the degree we observed. Between 1950 and 1992, additional similar rain events were recorded only twice at the coastal weather stations. In late March, we found slumped roofs over some ringed seal (Phoca hispida) birth lairs and others that had collapsed, probably because of four days of weather only slightly below freezing and heat generated by seals within the lairs. After the rain in April, we found subnivean lairs with melted roofs, and several snowdrifts that had previously contained lairs were completely washed away. Newborn pups were left lying on the bare ice, subject to thermoregulatory stress and vulnerable to significantly increased predation by polar bears (Ursus maritimus) and arctic foxes (Alopex lagopus). If the climate continues to warm in the Arctic, as is predicted, it is likely that rain will be more widespread during early spring. If that occurs, the premature removal of protection offered by subnivean birth lairs may expose young ringed seal pups to high levels of predation, which may negatively affect populations of ringed seals and the polar bears that depend on them for food. Taylor, K.E., Stouffer, R.J. and Meehl, G.A. 2012. An overview of CMIP5 and the experiment design. Bulletin of the American Meteorological Society 93(4):485-498. US Fish and Wildlife Service. 2012a. Threatened status for the Arctic, Okhotsk and Baltic subspecies of the ringed seal. Federal Register 77(249):76706-76738. Warren, S. G., Rigor, I.G., Untersteiner, N., Radionov, V.F., Bryazgin, N.N., Aleksandrov, Y.I., and Colony, R. 1999. Snow depth on Arctic sea ice. Journal of Climate 12:1814–1829. This entry was posted in Life History, Sea ice habitat and tagged Beaufort Sea, birthing lair, collapse, depth, historical data, Phoca hispida, polar bear, population declines, rain, ringed seal, sea ice, snow, snow cave, spring, starving polar bears, threshold, western hudson bay. Bookmark the permalink.